(207) When they put their minds to the center of the Creation Lodge which laid below, the Light and Life lay upon it shimmering and resplendent, they say. From above the Creator looked down upon it. When his creation moved that way, he was pleased with what he had created. And he thought about them. If there were something they could associate with, that would be good, he thought. (208) He did it. He made a bird. With his hands, he took from his own body and made an awe inspiring eagle with females. He placed it on earth. He made a shimmering and resplendent light. And he made females. He took from his own body and made therefrom a bird. A black hawk and mates he made. He made it awe inspiring. He placed him down so that he stood in front of the first one. Much further back extended Light and Life. Behind them the Light and Life was round and full. He was pleased with it. And he created a third time. He took from the right side of his body and with his own hands he created. An awe inspiring squirrel with mates he created. And where he placed him, there this squirrel curled up. Curled up, he looked like a red hot coal, his hair like a dollar. He made Light and Life grow bigger. The Light and Life became shimmering, and he made it sparkle. He took a piece of flesh from the right side of his own body and (209) having formed it with his own hands, he made an awe inspiring weasel and its mates. He placed him there where they are, but he was not still. As he extended, his movements were clever. In the amount of space in which he moved, that much he began to invest with Light and Life. And the fifth one he made with his own hands. He took from his body and then he put him in charge of Light and Life. He made an awe inspiring beaver. Having made mates for him where he placed him, he placed him in the spot where he had placed them. Light and Life was bigger. The Light and Life shimmered, causing it to sparkle. At the place he's keeping him, continuously Light and Life continues to enlarge. Then he did it. From the right side of his body he took a piece of flesh and fashioning it with his own hands, he made an awe inspiring otter with mates. Where he was going to place him, there he stood him, and the Light and Life was nice. He came forth in this way. There he put them in that place. He made that many with his own hands and (210) he put them in charge of a great amount of Light and Life. Commentary. "a black hawk" — in the interlinear translation, the word kerejǫ́seberá (in more standard form, kerejųsep), is rendered as "black sparrow." In the Road of Life and Death, it is translated as "sparrow hawk" , and said to correspond to the sparrow hawk (medicine) pouch. However, the sparrow hawk is not black, although many of its feathers are black-tipped. It is reddish brown and gray in general appearance, with wings that are bluish on top. The black hawk is securely identified as American Swallow-tail Kite (Elanoides forficatus), shown in the inset. It is the most agile of predatory birds. However, in the late XIXᵀᴴ century, this bird essentially disappeared in Wisconsin, so it may well be that substitutes were made using sparrow hawks and falcons as the nearest birds to its nature. So a pouch made of the body of a sparrow hawk may have been called "a black hawk pouch." "like a dollar" — žura-nisge in Hočąk, meaning "money-like, dollar-like." In 1908/1909 when this was written, the silver dollar was very common in circulation. So the light shown off him like the reflection of light off silver. "use it" — elsewhere, if a small piece of a spirit animal that has been consumed is left over, it can be used to regenerate the body of that animal. See under "Themes" below. "he whom we call 'Nephew'" — this is Hare, who because of his virgin birth among human beings, is said to be every person's nephew. Links: Earthmaker, Black Hawks, Hawks, Hare, Weasels. Stories: mentioning eagles: The Race for the Chief's Daughter, Eagle Clan Origin Myth, The Thunderbird Clan Origin Myth (v. 2), Pigeon Clan Origins, Hočąk Clans Origin Myth, The Hočąk Migration Myth, Trickster and the Eagle, The Arrows of the Medicine Rite Men, The Gift of Shooting, The Origin of the Cliff Swallow; mentioning black hawks: The Dipper, The Thunderbird, Partridge's Older Brother, The Woman who Loved her Half-Brother, Waruǧábᵉra, The Boy who was Captured by the Bad Thunderbirds, Spear Shaft and Lacrosse, Morning Star and His Friend, The Coughing Up of the Black Hawks, The Stench-Earth Medicine Origin Myth, Heną́ga and Star Girl, Keramaniš’aka's Blessing, The Race for the Chief's Daughter; mentioning squirrels: The Brown Squirrel, Old Man and White Feather, Wears White Feather on His Head, Porcupine and His Brothers, The Arrows of the Medicine Rite Men, Trickster and the Eagle; mentioning beavers: Hare Retrieves a Stolen Scalp, White Wolf, Old Man and Wears White Feather, The Dipper, The Chief of the Heroka, The Arrows of the Medicine Rite Men, Turtle and the Merchant; mentioning otters: Otter Comes to the Medicine Rite, The Fleetfooted Man, The Dipper, The Two Children, Baldheaded Warclub Origin Myth, Spear Shaft and Lacrosse, Turtle's Warparty, The Origins of the Milky Way, Redhorn's Sons, Redhorn Contests the Giants, Kunu's Warpath, Įčorúšika and His Brothers, The Woman who Loved Her Half Brother, The Chief of the Heroka, The Arrows of the Medicine Rite Men (v. 2), Wojijé, Holy Song II, Morning Star and His Friend, A Waterspirit Blesses Mąnį́xete’ų́ga; mentioning weasels: The Arrows of the Medicine Rite Men, The Lost Blanket; featuring Hare as a character: The Hare Cycle, Medicine Rite Foundation Myth, The Necessity for Death, The Mission of the Five Sons of Earthmaker, Hare Acquires His Arrows, Hare Retrieves a Stolen Scalp, Hare Recruits Game Animals for Humans, Hare Kills Wildcat, The Messengers of Hare, Hare Secures the Creation Lodge, Hare Kills Flint, Hare Kills Sharp Elbow, Hare Visits His Grandfather Bear, Grandmother Packs the Bear Meat, Hare Visits the Bodiless Heads, Hare Visits the Blind Men, Hare Kills a Man with a Cane, Hare Burns His Buttocks, Hare Gets Swallowed, The Hill that Devoured Men and Animals, Hare Establishes Bear Hunting, Grandmother's Gifts, Hare and the Grasshoppers, The Spirit of Gambling, The Red Man, Maize Origin Myth, Hare Steals the Fish, The Animal who would Eat Men, The Gift of Shooting, Hare and the Dangerous Frog, Thunder Cloud is Blessed, The Coughing Up of the Black Hawks, The Petition to Earthmaker; mentioning Creation Lodges (Wogųzočíra): The Creation Council, Hare Secures the Creation Lodge of the Medicine Rite, The Descent of the Drum, The Four Steps of the Cougar, The Nightspirits Bless Jobenągiwįxka, The Boy who would be Immortal, The Medicine Rite Foundation Myth, Otter Comes to the Medicine Rite, East Enters the Medicine Lodge, East Shakes the Messenger, The Arrows of the Medicine Rite Men (v. 1), Peace of Mind Regained, South Enters the Medicine Lodge. 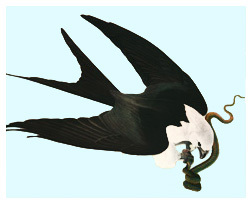 Themes: future offspring of the same species can be generated from a small piece of a devoured animal: Hare Retrieves a Stolen Scalp; something is of a (symbolic) pure white color: White Bear, Deer Spirits, The Journey to Spiritland (v. 4), White Flower, Big Eagle Cave Mystery, The Fleetfooted Man, Thunderbird and White Horse, The Orphan who was Blessed with a Horse, Worúxega, The Two Boys, The Lost Blanket (white spirits), Skunk Origin Myth, He Who Eats the Stinking Part of the Deer Ankle, White Wolf, A Man and His Three Dogs, The Messengers of Hare, The Brown Squirrel, The Man Who Fell from the Sky, Bladder and His Brothers, White Thunder's Warpath, The Shell Anklets Origin Myth, The Dipper, Great Walker's Medicine (v. 2), Creation of the World (v. 12), Hare Secures the Creation Lodge, The Descent of the Drum, Tobacco Origin Myth (v. 5), The Diving Contest, Otter Comes to the Medicine Rite, The Arrows of the Medicine Rite Men, Grandmother's Gifts, Four Steps of the Cougar, The Completion Song Origin, North Shakes His Gourd, Lifting Up the Bear Heads, Thunder Cloud is Blessed, Peace of Mind Regained; future offspring of the same species can be generated from a small piece of a devoured animal: Hare Retrieves a Stolen Scalp. 1 Jasper Blowsnake, Untitled, in Paul Radin, Winnebago Notebooks, Freeman #3887 (Philadelphia: American Philosophical Library, n.d.) Winnebago II, #7: 207-211. 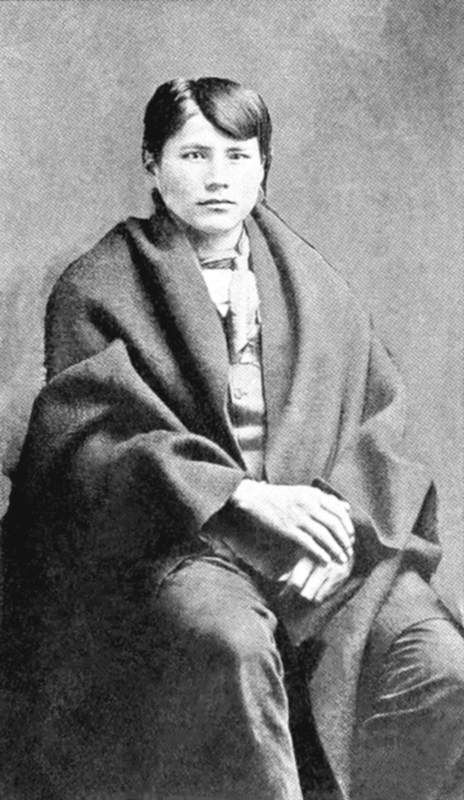 An English version is found in Paul Radin, The Road of Life and Death: A Ritual Drama of the American Indians. Bollingen Series V (Princeton: Princeton University Press, 1973 ) 287-289.